Managing the temperature through compressors or ACs is a costly process. Cooling makes up at least 40% of your monthly energy consumption, which can quickly eat up your budget. Without HVAC, however, data centers would feel like the Sahara Desert at the height of summer. This is why IT managers are trying to find ways to decrease temperature levels without racking up the electricity costs. Some of those solutions include the use of blanking panel. They work by blocking unused space, managing cables to prevent hot air from backing into the server, or through spot cooling. Google, for instance, uses fresh air from outside, that filters and allows it to pass through a machine that produces air quality and moisture that comply with its internal standards. While you wrap your head around the costs of ensuring data centers are sufficiently cooled, here’s another problem: they need more than just cold air. Dealing with contaminants in data centers is the single issue that plagues IT experts. The good news is that you are not blazing the trail. Numerous best practices have been adopted by IT departments all over the world. First, is to measure the corrosion rates inside the room and benchmark the figure with the outside air. Make sure every pocket of air is sealed, and install filtration devices for both gas and air contaminants. Finally, create your moisture and air-quality profile of your own data center. Another aspect to look out for is humidity. When you fail to monitor the humidity level, your servers are at risk of electrostatic discharge (ESD). Static electricity occurs when two objects with opposite charges come into contact. The use of an atomizing humidifier should address this concern as it stabilizes moisture in the environment. While ESD damage is sudden, dust accumulates on the equipment and heats up the servers by settling on the components. If the dust is thick enough, it can prevent the server from shedding heat. Which, in turn, can impact the efficiency or cut its lifespan. The industry standard is the MERV-13 air filter, which can help maintain air quality inside data centers. The air quality of your data center should comply with the ISO 14644-1 Class 8 standards. You can achieve this through the use of filters. MERV-13 refers to filters that can capture 80-90% of the dust particles. There’s also the ISA-71.04.2013, which sets the maximum allowed oxidation of copper or silver. Simply put, the standards direct the careful monitoring of silver and copper rates to compute for corrosion in the room. 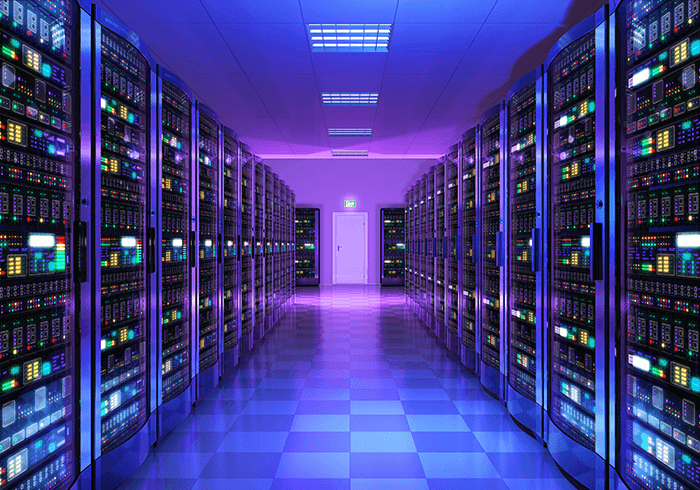 Keeping maintenance costs low for data centers is an understandable endeavor. However, you should not pursue this at the expense of efficiency, reliability, and ease of upgrading. You might have shaved 20-30% off of your power consumption, but it doubles or triples the time for you just to refresh your equipment. Also, consider your overall server room design, which can help overall efficiency.